The Children’s Museum at La Habra is a museum rooted with the intentions of educating through play. This enrichment center holds several exhibits throughout the year, currently including the exhibit, “Nannies Travels,” where kids can view various cultural stories, art, clothing and customs from Russia, Asia and the Middle East, a dinosaur topiary, and many more! 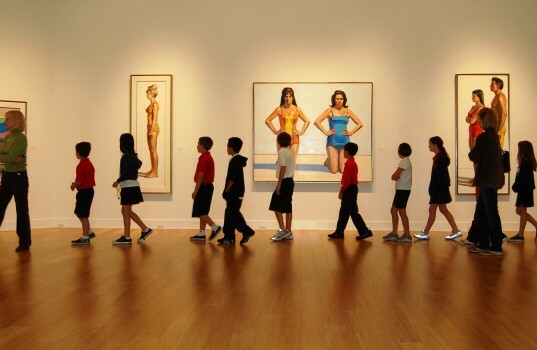 Orange County Museum of Art is a museum with a mission to enrich the lives of a diverse and changing community through modern and contemporary art. Their upcoming exhibits include paintings by Dieter Roth; “Misappropriations,” an exhibit that showcases 19 contemporary artworks that relate to themes of media awareness and the “repurposing of everyday experiences.” Free admission to the public every Friday. Sergerstrom Center for the Arts is a non-profit organization center that highlights a wide variety of stage arts including productions of music, dance, and theater that are fun for audiences of all ages. Upcoming family-friendly performances include “Gustafer Yellowgold,” a multimedia live music performance; “John Tartaglia’s ImaginOcean,” a blacklight puppetshow; “Twin Infinity,” a mash up journey of old-time radio programs and comic book images. The Laguna Art Museum is a museum which highlights Californian art that is either created by Californian artists, or that depicts the state and it’s culture. They display several exhibitions which currently include “California Rural, 1930’s and 1940’s,” a series of watercolors that focuses on rural life in California in the 1930’s and 1940’s; “Robert Henri’s California: Realism, Race, and Region, 1914-1925,” a collection of American painter Robert Henri’s work that focuses on the people of California from 1914-1925. Free admission the first Thursday of every month from 5-9pm. The MUZEO is a museum that celebrates the culture and heritage of Orange County through creative programming. They host three traveling exhibitions per year that is accompanied by special events, programs, and activities. Their current exhibit, “Quilts,” is one that includes various quilts, all of which were made at the time of America’s transition from a folk culture society, to a mass producer and consumer society. This exhibit allows audiences to get a look into early American life. The Bowers Museum is a museum centered on historic arts, with a large permanent collection of early Native American art, African art, Pre-Columbian art, and much more. Current exhibits include “China’s Lost Civilization: The Mystery of Sanxingdui,” which includes objects from the discovery termed the “ninth wonder of the world”; “Heavenly Horses: Two Thousand Years of Chinese and Japanese Equine Art,” which highlights the impact that horses had on both Chinese and Japanese culture. Free admission every first Sunday of the month. The City of Fullerton Museum hosts multidisciplinary exhibits that address areas such as history, science, art, and humanities. Their main goals are to present exhibitions and activities which stimulate dialogue, promote critical and creative thinking, and serve as vehicles to learn about ourselves and our world. Upcoming exhibits include “Heroes & Villains,” where comic book artist Alex Ross’s paintings, drawings, photographs and sculptures are on display. All admission is $2 on the first Thursday of every month from 4-8pm. The Irvine Museum is a museum solely focused on displaying pieces of art that depict the glorification of nature, with a goal to preserve our environment by allowing the public to view these beautiful paintings. Current exhibit is “California: This Golden Land of Promise,” an exhibit based on paintings that depict California’s history. Most paintings involve missions and other Californian landscapes. The Huntington Beach Art Center is a community arts center that highlights artists of all types to serve the community as a climate of experimentation, education and experience. The center is a non-profit private corporation, raising funds through special events every year. The current exhibit, “Centered on the Center,” spotlights over 200 local artists and 400 works of a variety of media. Soka University’s new performing arts center features world-class acoustics designed by the same designer who worked on the famous Walt Disney Concert Hall, Yasuhisa Toyota. Upcoming shows include “L’Orchestre de la Suisse Romande,” an award-winning orchestra, “Kaulana Na Pua,” a performance of hula, and much more. The Chuck Jones Center for Creativity is a nonprofit organization with the intentions of recognizing, supporting, and inspiring the art of classic character animation. Weekly art classes are offered, including the popular “Drop in and Draw” series on Saturday mornings from 9:30am-12:30pm. Classes are free with donations appreciated. 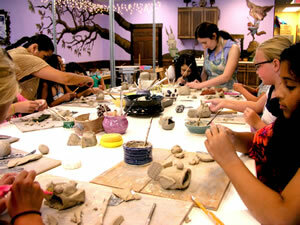 Bring your children to your local Color Me Mine and have them paint a ceramic sculpture of their choice. Ceramics range from plates to mugs to figurines, giving your child a wide variety to pick from. Alongside paints, there are stamps and stencils available for use. Once your child’s painting is complete, the store will glaze your child’s work to take it home! OCFA offers a wide variety of beginning, intermediate and advanced training for kids in various artistic aspects. 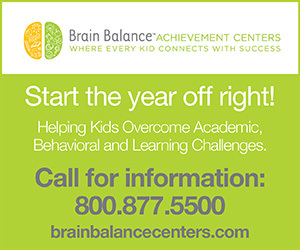 You and your child can join most classes at any time at a very moderate cost. Plenty of classes are offered on weekdays, evenings and weekends to fit nearly any of your family’s schedules. MTA offers year-round training for students from kindergarten through the twelfth grade. Each MTA program is tuition-based and runs 16 weeks during which students participate in creating full-scale, Broadway-style, musical theatre productions, complete with custom-made costumes, live musical accompaniment, state-of-the-art sound and lighting and performances in a professional theatre in front of a live audience. Acting and singing lessons also available. In the summer, the Laguna Beach art festivals offer a wide variety of entertaining art opportunities for kids. Both the Laguna Beach Festival of Arts and the Sawdust Festival offer in-depth and drop-in workshops that highlight a large selection of art mediums including painting, drawing, multimedia, ceramics, printmaking and more. 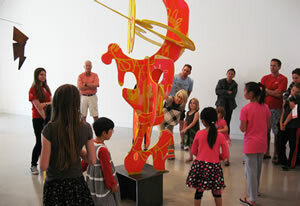 Kids’ Art Studio is a hands-on art-making program offered by Laguna Art Museum. It takes place on a drop-in basis on the third Sunday of every month between 2 and 4 pm. Children and their families create a piece of art, from start to finish, inspired by one of the exhibitions on view in the museum. Every Wednesday from 11am-3pm, the Children’s Museum at La Habra hosts a painting even for children called “Little Picassos” where children are exposed to the exploration of color and texture while painting. Easels, washable paints, brushes and paint smocks provided. The Kidseum is open Saturday and Sunday from 10am to 4pm, where there is face painting and a drop in art studio open throughout the entire day. There are two sessions of a live storytelling, and archeology lab coin impressions. Their “Glow Cave” features many fun art activities, and a Wells Fargo stagecoach that will take you through time in the “Green Screen Time Machine.” To encourage interaction with children, there will be plenty of visual stimulation through smart tables, smart boards and computers. Free admission every first Sunday of the month. Come to OCMA on March 8th for a free family day where you and your kids can partake in hands-on art projects led by local artists and a special showcase of artwork and performances by the Orange County Educational Arts Academy. There will also be a StuffNIT Burger food truck onsite.